Discovering Kondapally wasn’t a stroke of luck. I was looking forward to my visit to Kondapally, the toy village of India right from the moment I booked my tickets to Vijayawada. 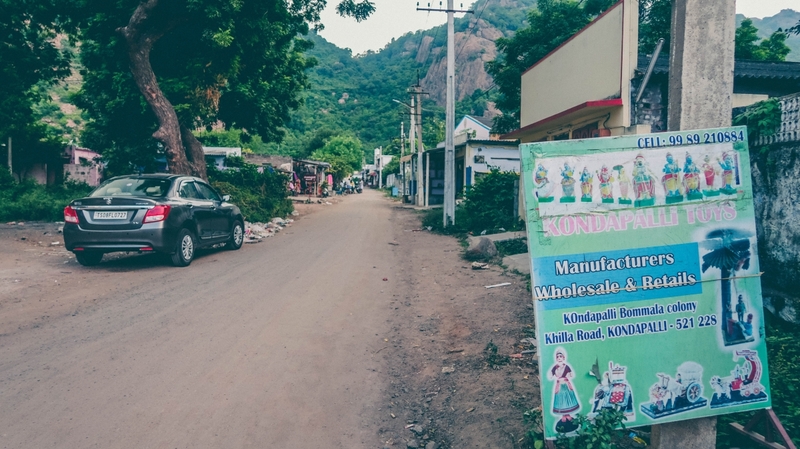 Nestled in the foot of the Eastern Ghats in Andhra’s Krishna district, the village of Kondapalli is located approximately 24 km away from the main city Vijayawada. The google maps helped until a point and thereafter we were on our own. Driving around lanes and by lanes and asking very person the way to the village, It took us almost an hour to reach the village. 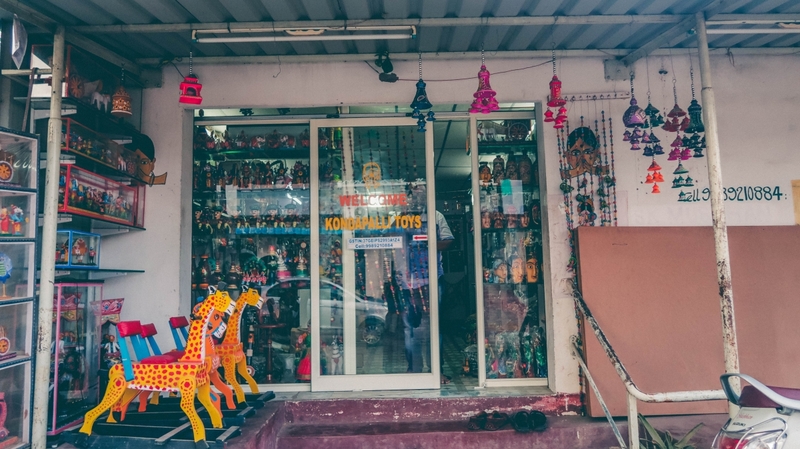 A moderately sized shop with glass doors and a huge green banner “Kondapalli Toys” confirmed our arrival. From where I stood, I saw a quaint village lane lined with small rustic houses. It was Sunday and hence the scarcity of artisans. But still, there were quite a few shops which were open and a good number of people working on the craft. The first shop I entered set the expectation bar really high. In just a few minutes I was assured that I was in for a lifetime of an experience. 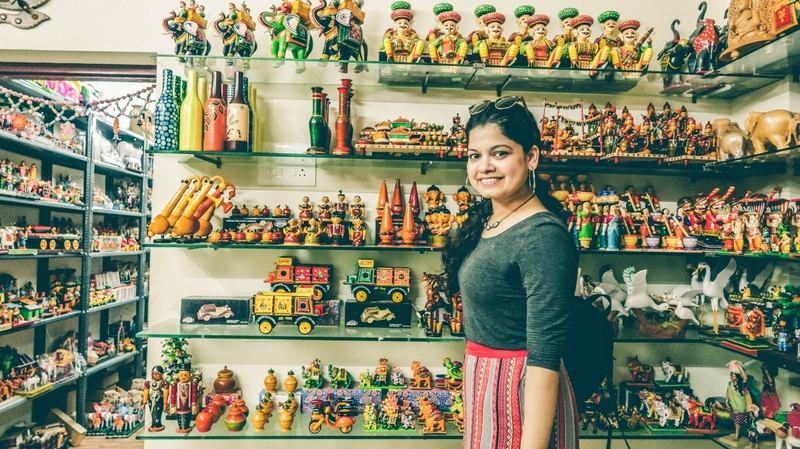 My eyes popped out in excitement seeing colourful and adeptly crafted toys. Right from an inch long to 5 feet tall, there were toys in all shapes and sizes. I wanted to touch all of them, just to ensure it was all for real. The toys showcase such fine patterns and colour detailing that it was hard to imagine that it was all handmade. I felt like a kid in a candy store. Practically lifting every single toy and telling everyone around me how beautiful it was. Eventually, I curbed my excitement and decided to have a word with the owner of the shop. Since it was a leisure Sunday the owner was up for a banter. Had it been any other day I doubt he would have even entertained me. I had a long discussion with the owner about the process and prospect of the business. He was kind enough to take me around his storeroom. 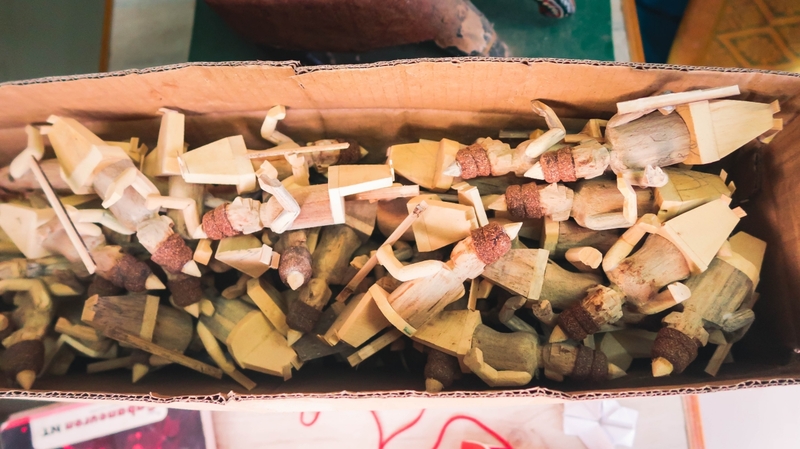 On the way to the storeroom, I saw a lot of bit and pieces of woods in weird shapes and sizes lying outside drying in the sun. By now I was wise enough to comprehend that those were different parts for make new toys. 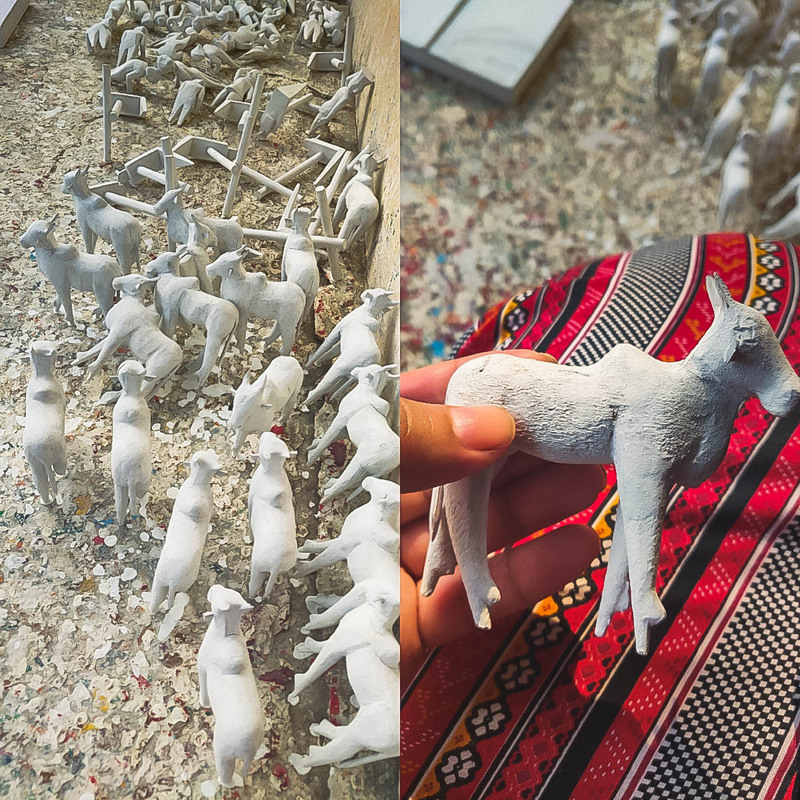 The toys are made of a special soft wood called as tella poniki. If not used for making toys this wood has no other usability. It doesn’t even produce energy if you burn it. First, the wood is slash into sections and then dried out in the sun. For bigger pieces, it is often kept over a metal mesh, which in turn is kept over a mild flame to ensure that the wood is nicely heated. This ensures that the wood is absolutely moisture free. 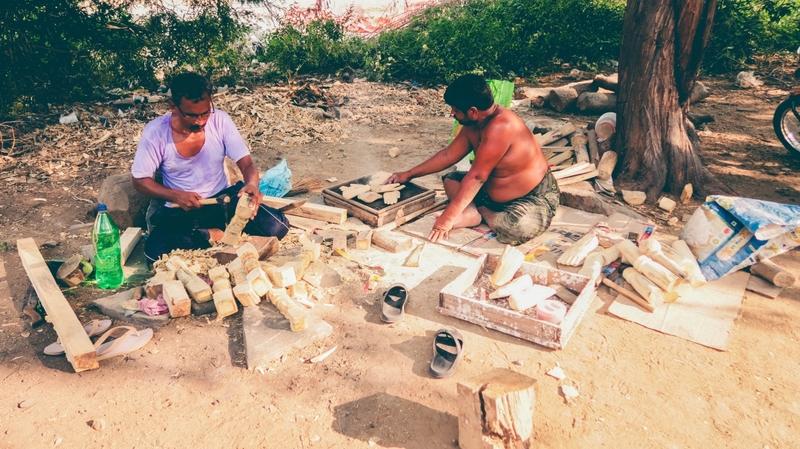 The wooden pieces are then chiselled carefully to give the required shape. The corners and cuts are stuffed with sawdust to make the texture smooth and fine. While the bigger toys are easy to make it’s the small pieces that demand maximum concentration. One wrong stroke and you need to start all over again. Once various parts of the toys are ready they are connected together by the aid of strong glue. Nowadays there are wide varieties of glue available in the market but the earlier natural glue was used which is made of tamarind seed paste. It is in this process that the toy takes its destined shape. The limbs and faces are connected together to complete the toy. 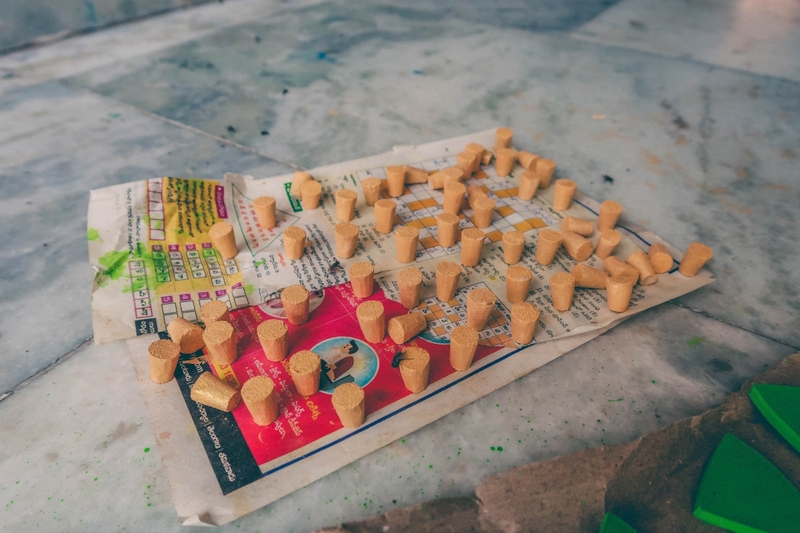 The completed toy is then painted with a layer of Suddha which is essentially a lime paste. It is then kept to dry for 2-3 days. This step is done because the colours come out really well over the lime layer. 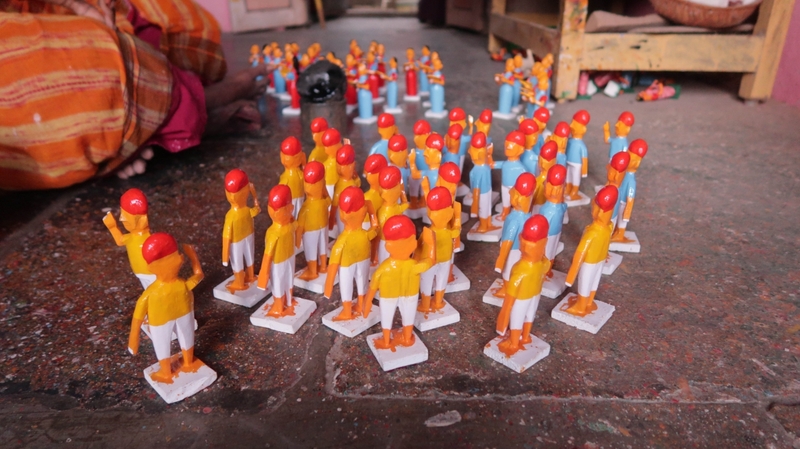 For the final painting of the toys, the artisans use water, natural and oil-based colours. 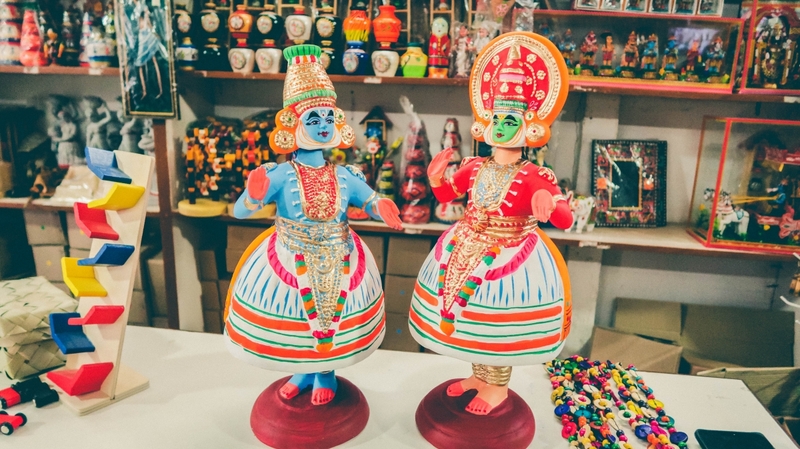 Many artisans still like to use vegetable dyes to paint the toys. Along with the colours the brushes used also play an important role. The finally painted toys are again left in the sun to dry properly. Once dried properly they are ready to take place in the stores for sale. Toys painted and ready to be dried out. The process might come across as simple but it is quite intricate and demands a high level of attention to details. While you may not be able to see all the steps at one place but one stroll through the village lane will regale you with all its excitement. 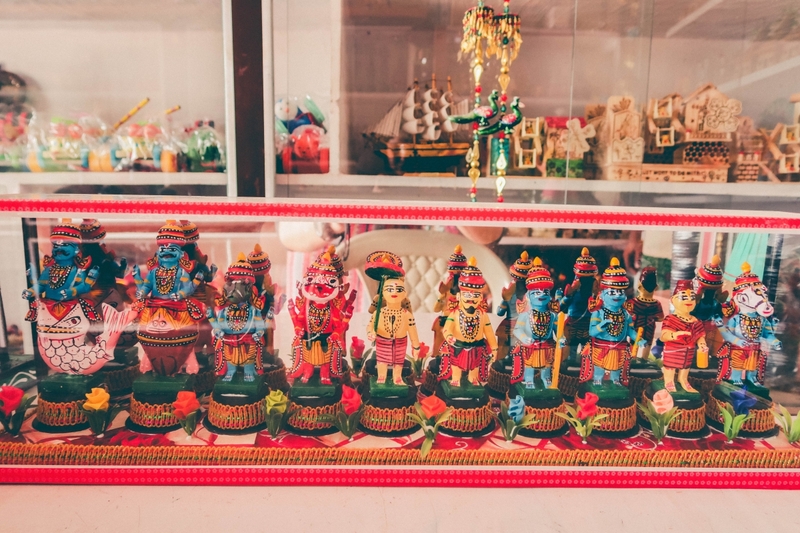 The famous Kondapalli Toys are available in all shapes and sizes. They are eco-friendly and cost-effective. The toys are also very safe for kids as compared to the plastic toys which are readily available in the market. I was bewildered with the imagination associated with the wide varieties of toys available in the village. 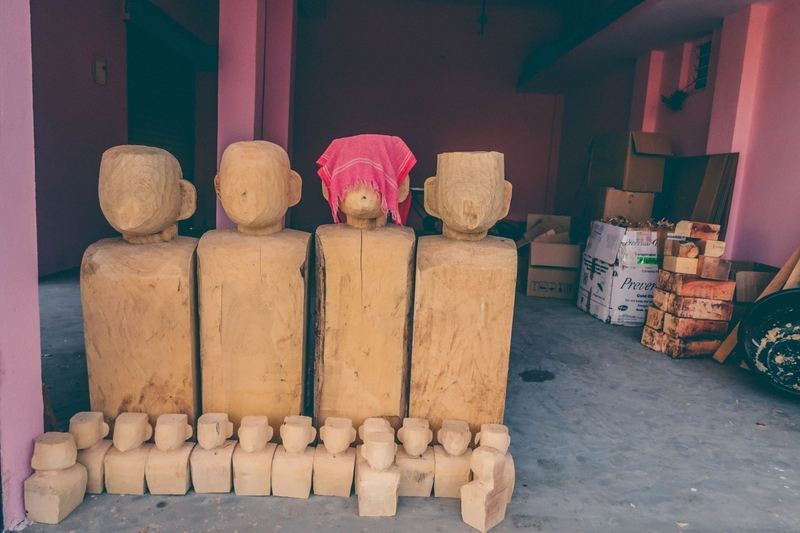 Right from small key chains to giant toys, Kondapalli is home to every possible wooden toy that you can imagine in your head. 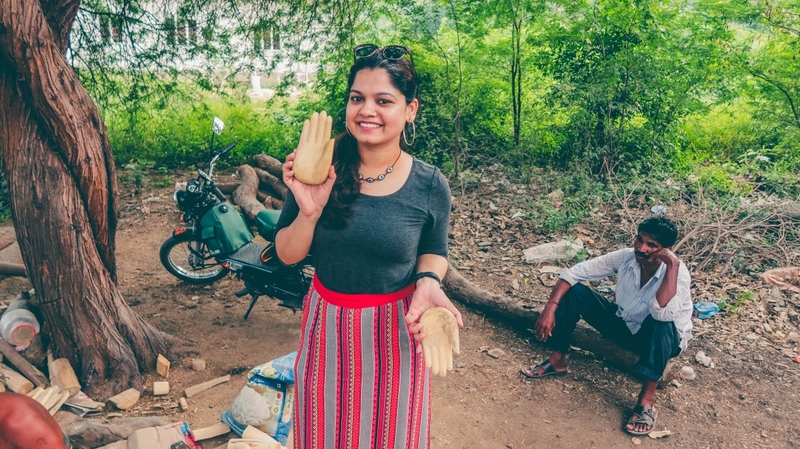 Artisans have now also started experimenting with Paper Mache and sawdust as well. 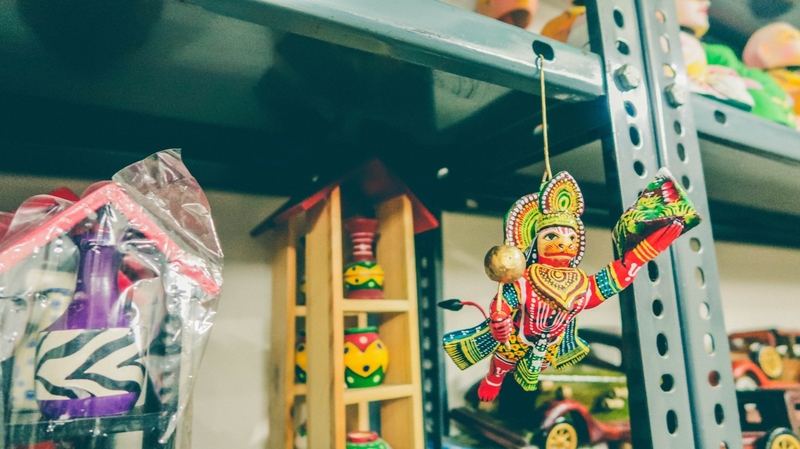 While there is no dearth of colourful toys in Kondapalli but there are few quintessential toys that you definitely need to look out for. 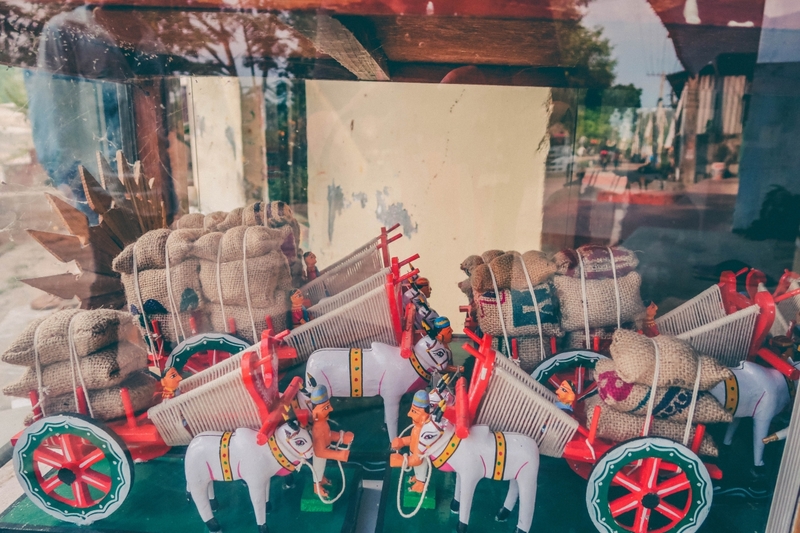 To name a few are Bullock carts, caparisoned elephants toys, village backdrop toys, palanquins carrying bride and groom, swinging dolls. 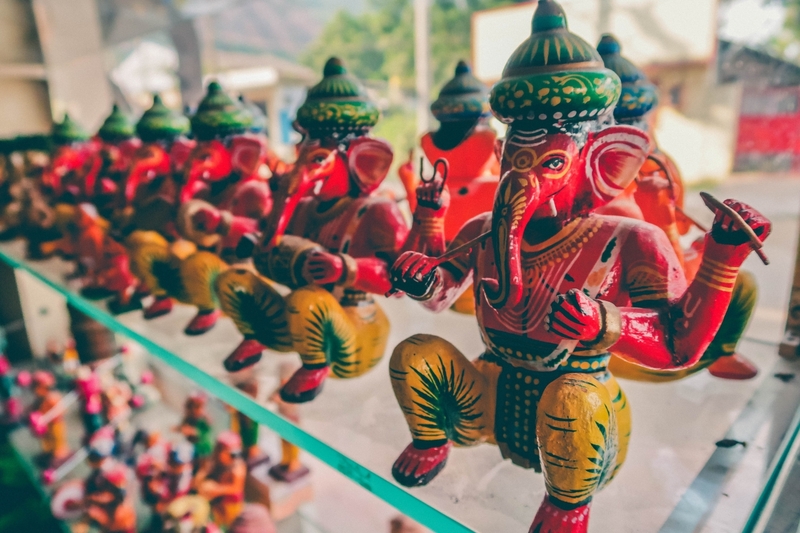 Another very significant Kondapalli toy is Dasavatarams, which is the ten personifications of Lord Vishnu with an elephant on Ambari. It is definitely going to make you pop your eyes. 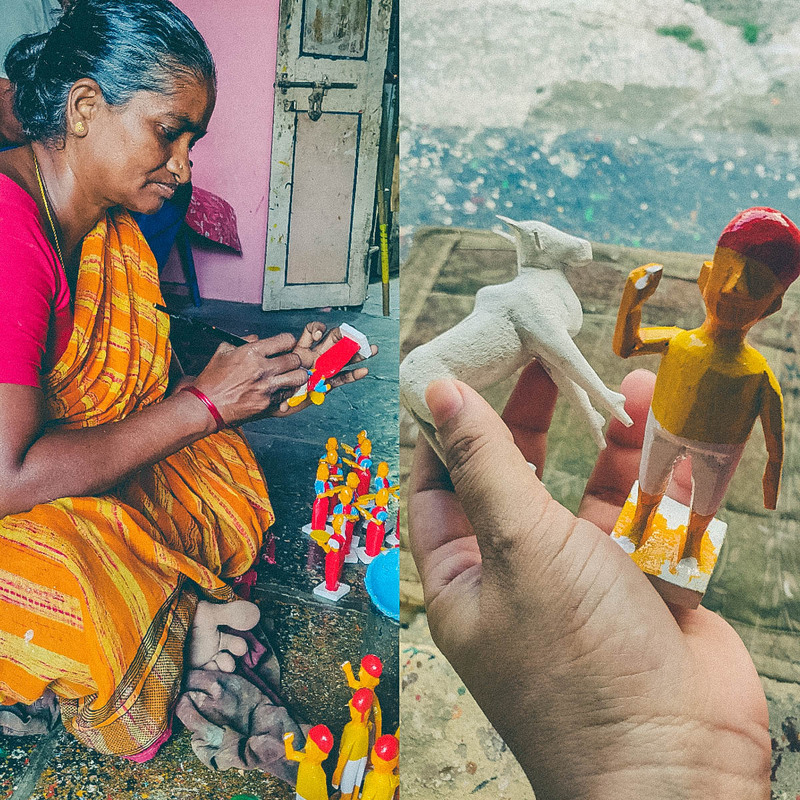 The toys in Kondapalli are nothing but the creative reflection of the village everyday life and people. Not just the India but the toys are exported to various other countries as well. 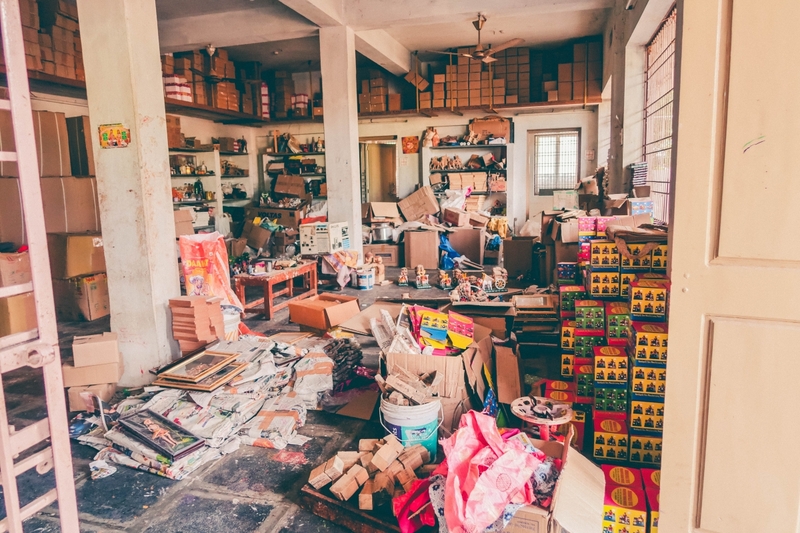 In India toys from Kondapalli are further sold to South of India including Bangalore, Chennai and Hyderabad in bulk. 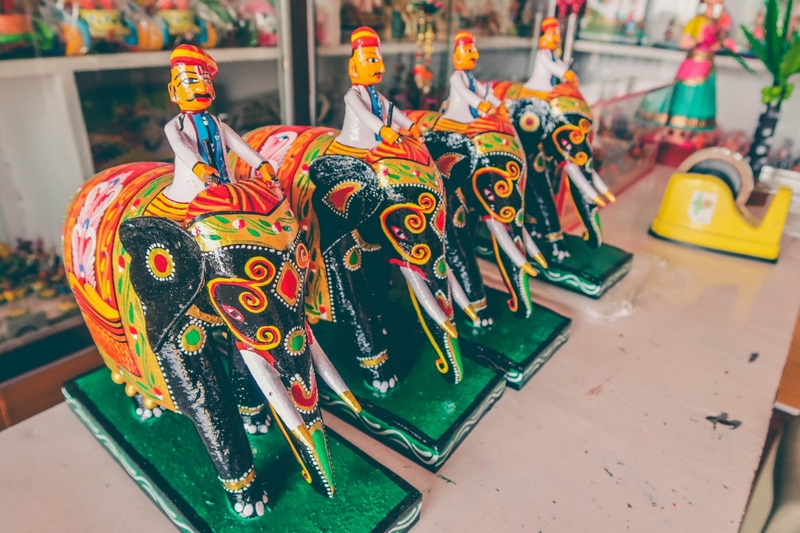 But it is not just the money that keeps the artisans going, it is the desire to keep the craft alive that pushes them to get up every day and create these beautiful and colourful toys. Almost every house in the village has a shop in front of the house. They sell their toys right from their houses. I am not sure as to how the wholesale business is carried out but the retail therapy was really a visual treat. The pricing of the toys starts from as less as Rs 20 and goes up twenty to thirty thousand Indian Rupees. 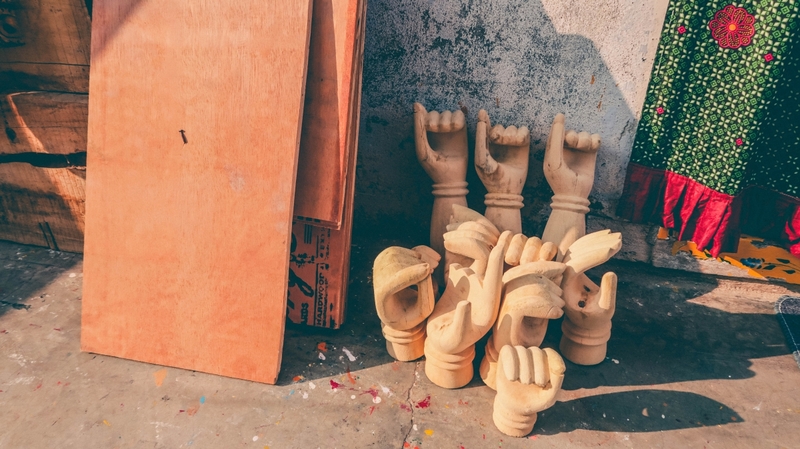 Kondapalli has a glorious past of creating and contributing to the creative world. However, the present and future seem to be dubious in terms of continuing the creative legacy. A quick banter with few of the artisans of the village unveiled a lot of surprising facts about the current condition of the craft. 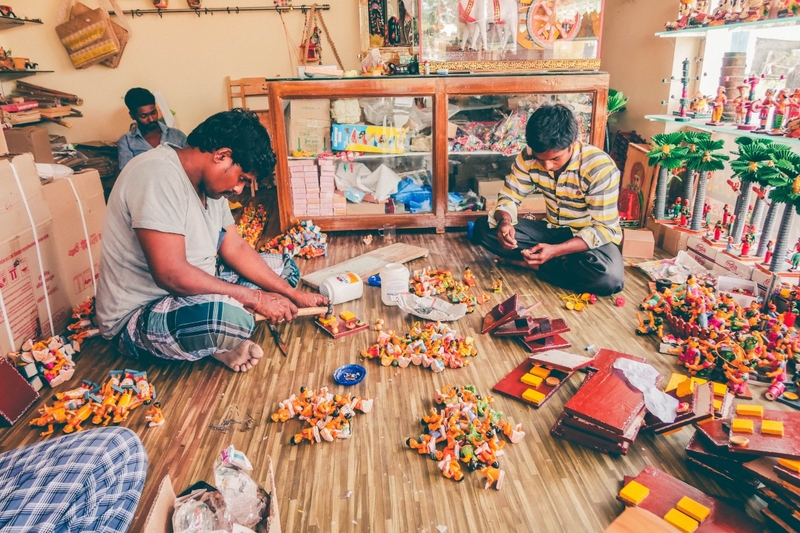 The artisans fear that their next generation is not as interested in the toy making business as they were. They also think that the change in the educational prospects is also culpable for such a scenario. Earlier there was no awareness around education and that gave them time to learn the craft from a very early age. However currently the kids have to study and they hardly get time to learn the art of toy making. An elderly artisan told me that he does not see any reason why he should ask his grandkids to spend time on learning toy making. With time, everything is getting expensive but the revenue has been just the same and if something they have just gone down. 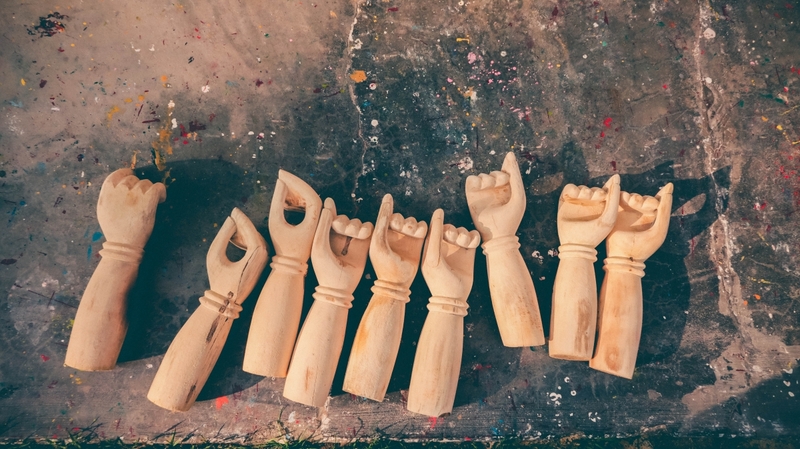 Everyone aims for a better life and a prosperous future and the current trade has just been declining because of the cheap Chinese plastic toys in the market. I felt sad and content both at the same time. Sad because my next generation might just not see this art live ever, content because at least I could witness the incredible art of toy making before its extinction.